Last week, I was on the neck of the Joint Admission and Matriculation Board (JAMB), for bringing down the entry mark for admission into universities from 200/400 to 120/400. Since the announcement of the new cut off mark, JAMB registrar, Professor Ishaq Oloyede has been doing a great deal of explanation. I did not capture much of his explanation in my outing last week, although the views of Dr. Fabian Benjamin, the board’s director of public affairs, which I captured approximated largely the position of Prof. Oloyede on the matter. But for fairness, I will like to accommodate, even at risk of being accused of over-kill, the views of the registrar on whose table the buck stops. Prof Oyelede had made all the clarifications in an interview he granted The Guardian last Tuesday. He said contrary to widely held view, actual admission is done by the various institutions and not JAMB. 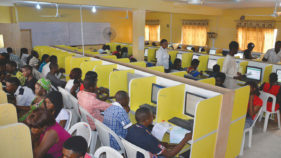 He explained that the Unified Tertiary Matriculation Examination (UTME) is not an “achievement test” but a mere ranking of prospective candidates who can only be admitted by the various institutions if they (the candidates) possess the pre-requisite of credit pass in five Ordinary Level subjects including English and Mathematics. The second point he made was that tertiary institutions in the country have been running below their installed students capacity in the last 10 years and that the lowering of the entry point was done to first and foremost ensure optimum capacity utilization of these tertiary institutions, and secondly, to stop the migration of Nigerian students abroad who on account of the hitherto high entry point of 200/400 and 180/400 could not secure admission in institutions at home. Finally, Prof Oloyede said the decision to lower cut-off marks was not a decree by JAMB but a consensus of all stakeholders, namely the vice chancellors, provosts and rectors of universities, colleges and polytechnics/monotechnics. On this particular point, he sounded a bit triumphant. Hear him: “…and those opposed to the decision cannot claim to know better than them (the stakeholders).” This is the statement that has returned my interest to the subject matter after my treatment last week. It is clear a meeting between Prof Oloyede and some people took place. What is however nebulous is the true description of the people that attended the meeting. Were they the real stakeholders? It could be that some people holding sticks were mistaken for stakeholders and Prof Oloyede met with them. I am just trying to make sense out of the divergent opinions in the media in last two weeks or so of stakeholders who purportedly met to reach the decision on the new cut-off mark for admission into tertiary schools. I shall speak less grammar so that I do not complicate the issues in trying to untie them. I have done analysis of media reports on the issue at hand. In the course of this, I had good reason to consult different dictionaries to get the true meaning of the word ‘stakeholders.’ I tried to align my findings with what the JAMB registrar was trying to say when he said stakeholders met and unanimously agreed on the new cut-off mark. Nothing added up because what education stakeholders have been saying in the newspapers is a world different from what the other set of stakeholders that met with Prof Oloyede said. Let me start with Nigeria’s premier university, University of Ibadan. Mr. Sunday Saanu, the media assistant to the Vice Chancellor says the new cut-off point is unacceptable. Legal icon and founder of Afe Babalola University, Chief Afe Babalola has described the new entry point as violence to the university system. And by far the biggest stakeholders in the education system, the National Association of Nigerian Students (NANS) is also not with Oloyede. 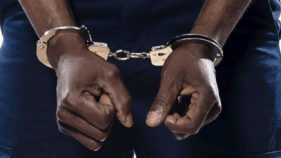 The association through its president, Chinonso Obasi has said the new move will encourage indolence in the school system. The President of the Academic Staff of Polytechnics, Usman Dutse is alarmed, tagging the new cut-off the worst globally. While Bayero University Kano (BUK) is not in disagreement with JAMB, its director of public affairs, Mallam Ahmad Shehu says BUK will maintain its own cut-off put at 180/400. Short of a lower adjective, Professor Chiedu Mafiana of the National Open University of Nigeria (NOUN) says it is ridiculous. President of the National Parents-Teachers Association (NAPTAN) is concerned that the policy will further trouble the already troubled education system. From the Academic Staff Union of Universities (ASUU), which is still maintaining its trade standoff with government comes a more discordant tunes. University of Ibadan chapter chairman of the union, Dr. Deji Omole equates the lowering with regularization of illegality to favour private universities. 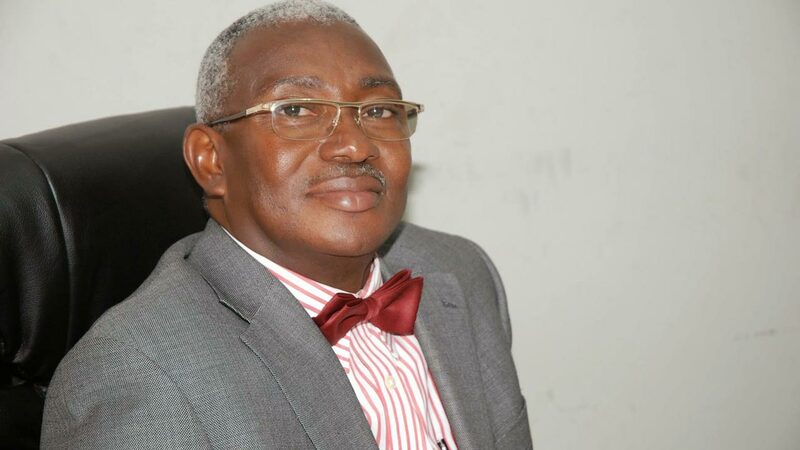 Professor Emeritus, Soga Sofola, former deputy vice chancellor (academics) of University of Lagos is lamenting that “this 30% mark development is very sad commentary on the state of higher education in Nigeria.” He fears that the next step will be to accept P7 in school certificate as good for university admission. These snippets are by no means exhaustive of the discontent expressed by stakeholders on the new policy. Overall, most of the institutions, which JAMB is claiming to help to build their enrolment carrying capacities, do not want to be helped. They want to maintain the old cut-off marks of 200/400 for universities and 180/400 for polytechnics, monotechnics and colleges of education. It brings me to the question I really want to ask today. With whom therefore did Prof Ishaq Oloyede hold the stakeholders meeting where the new rule was adopted? Or are the people complaining not also stakeholders? Who is a stakeholder in the education system? Where is this disagreement among stakeholders coming from? It is important we reach the bottom of it because the stakeholders here comprise some of the finest brains in the land and it is unthinkable for professors, many of whom are vice chancellors, to attend a meeting, agree on a position and come out the next moment to push a position contrary to what was agreed at the meeting. I will say therefore that between Prof. Oloyede and the stakeholders, a party is being economical with the truth. Or maybe the stakeholders meeting held without a proper quorum. In which case, there might be reason in the nearest future to call for another stakeholders meeting for which all the constituencies including the media will be mobilized to attend to rest the matter of cut-off marks once and for all. Until that happens, and it is seen to have happened, the insistence of Prof Oloyede on the lowering of the admission cut-off marks being a consensus of stakeholders will sound like a fairy tale. It is also advisable for the revered Prof to stay on one story. If the lowering is done to force utilization of installed enrolment capacities of existing tertiary institutions irrespective of fitness, (because of a new law that makes tertiary education compulsory in Nigeria), he should stay with that. 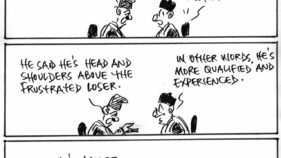 Attempting to draw a distinction between ‘achievement test’ and ‘ranking test’ as it relates to the role of JAMB in the higher education system, is unhelpful sophistry and even insulting. If as he said, admission is done by the Senates of the different universities and similar organs at other tiers of tertiary education, why then is JAMB necessary in the scheme? Except he is saying that there is something so complex in the conduct of ranking test that institutions of higher learning cannot handle outside JAMB. This is most unlikely. And so, I can predict right away that when the larger issue of autonomy for universities, which is an integral part of ASUU’s perennial agitation against government will be finally settled, the desirability or otherwise of JAMB will be settled alongside.